Improving ROI And Exceeding Sales Goals With Regular Strategic Marketing Planning. 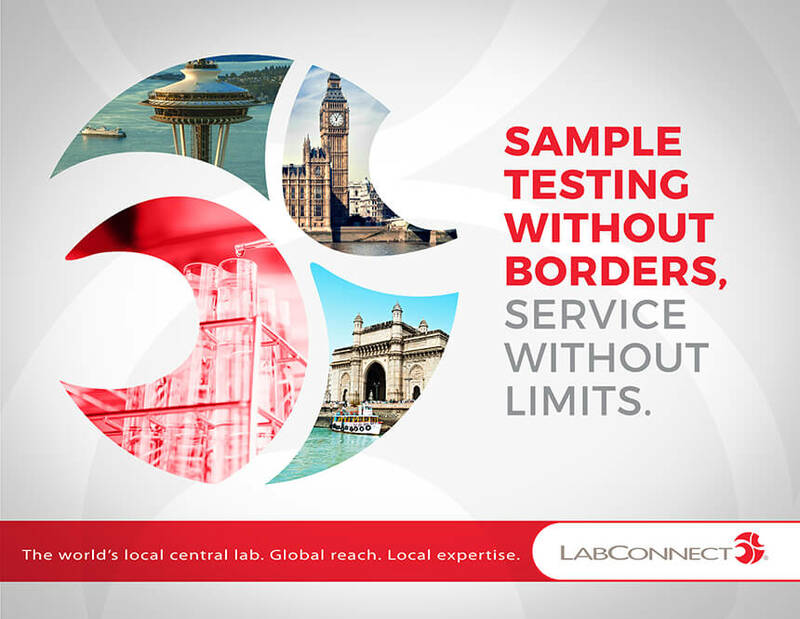 Founded in 2002, LabConnect offers a full range of services, including routine and specialized laboratory testing, clinical kit building, sample management, biorepository and scientific operations support services for biopharmaceutical, medical device and contract research organizations. A SCORR client since 2012, LabConnect is among only 100 private U.S. companies named at least 10 times to the Inc. 5000 list of America’s fastest-growing companies. LabConnect’s strong revenue growth also has consistently placed the company on the Puget Sound Business Journal’s 100 Fastest-Growing Private Companies and on the Deloitte’s Technology Fast 500 list of the fastest-growing North American companies in the life sciences, technology, media, telecommunications and clean technology sectors. Achieving this kind of steady growth happens only through careful strategic marketing planning, a process SCORR and LabConnect work through regularly to keep marketing efforts aligned with the company goals and brand strategy. 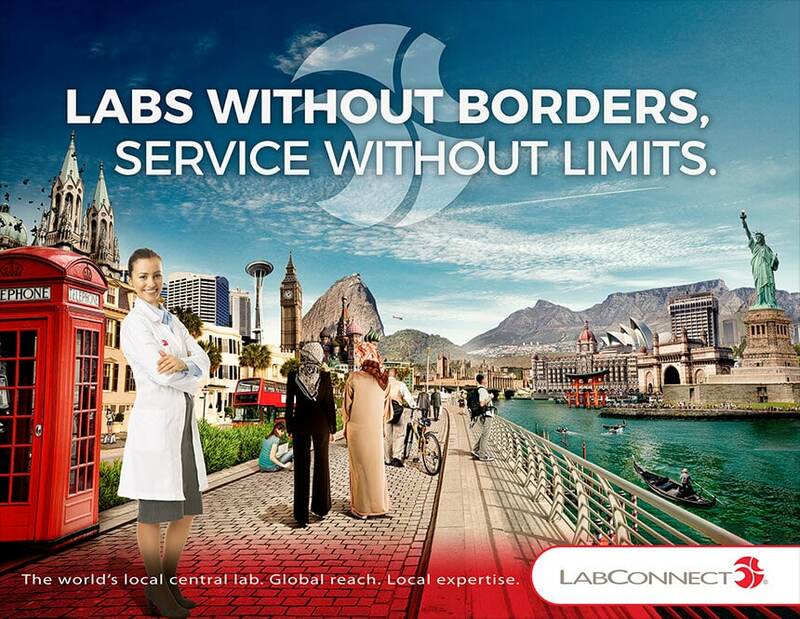 The integrated campaign targeted both current clients and prospects while focusing on growing LabConnect’s key service offerings. In addition to sample testing, the campaign was designed to bring attention to services such as sample management, biovisualization of laboratory data, biorepository and scientific operations support. To support LabConnect as a thought leader in the industry, SCORR pitched articles to trade publications and handled the promotion for three webinars. Additionally, SCORR created high-visibility environmental graphics for the premier industry trade show, the 2016 Drug Information Association (DIA) Annual Meeting, to bring the company’s brand front-and-center to attendees. LabConnect sends high-value direct mailers to a select group of prospects two or three times each year. 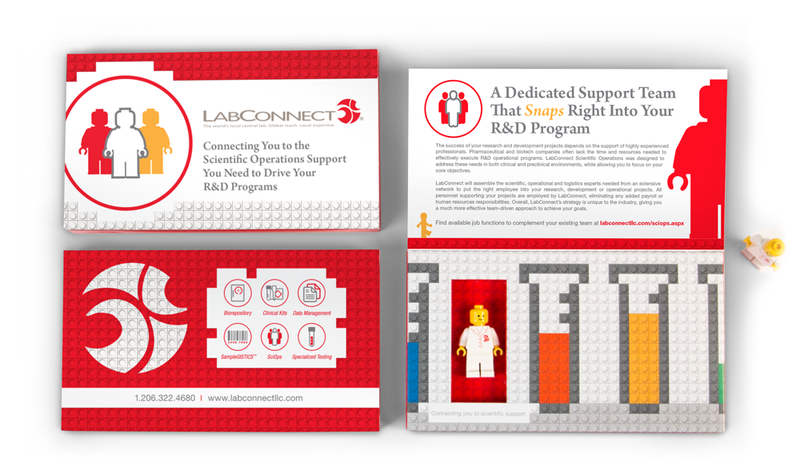 As part of the marketing initiative promoting the company’s Scientific Operations (SciOps) services, which augment clinical staff with experienced individuals, SCORR created a memorable dimensional mailer showcasing a LabConnect LEGO-man. 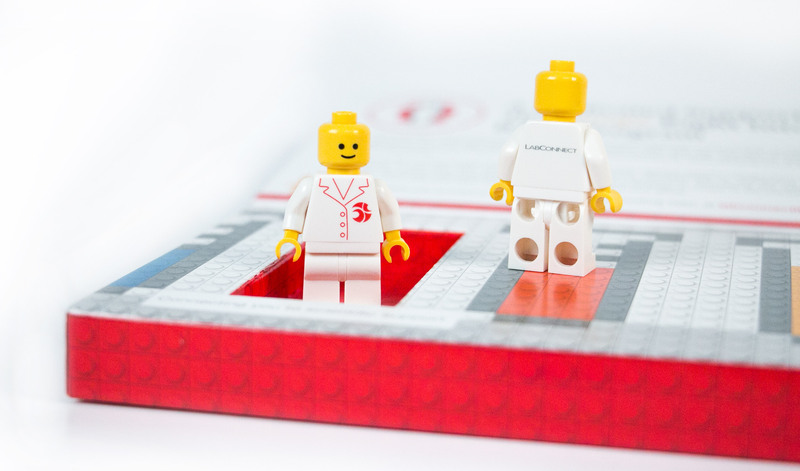 Just as Legos do, LabConnect’s SciOps team fits perfectly with its clients’ teams: By supplying professionals to fill in where clients have personnel gaps, LabConnect strengthens the team. Compared to 2015, page views increased in 2016 by 70 percent and total visits to the site by 42 percent. Average time spent on the site climbed to 2 minutes, 53 seconds, which is strong compared to the industry average of 2 minutes. 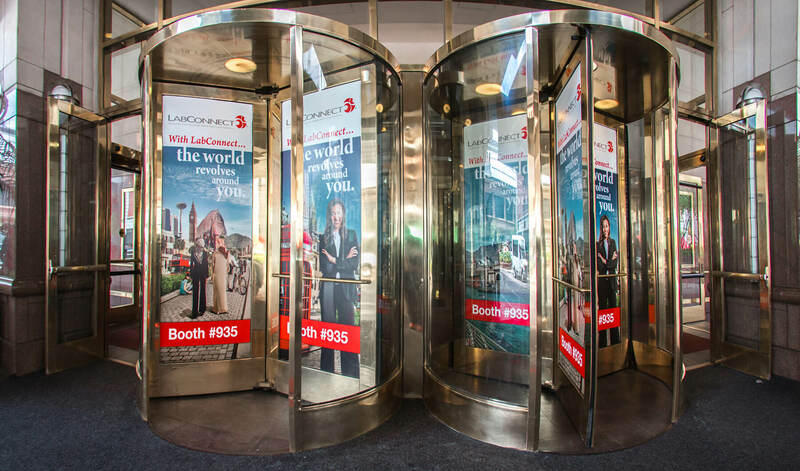 SCORR placed additional digital advertising for LabConnect in 2016, with the average click-thru rate (CTR) increasing by 15 percent. Among the videos SCORR produced for LabConnect was a series of instructional videos, available only to the company’s clients, to explain how the various clinical kits should be packed. Because these are only for LabConnect’s clients who use the clinical kits, the views are not a meaningful metric to report to prove their value. However, LabConnect reported that clients expressed appreciation for the videos and better understanding of the kits. SCORR promoted and helped the company execute live webinars about its SampleGISTICS™, biovisualization and biorepository services, helping position LabConnect as thought leaders in the industry. On average, the webinars drew 145 registrants and 60 live attendees. The number of clicks rose by 172 percent in 2016. Five authored articles were placed in industry publications. In addition to improving the tactical performance with a 20 percent increase in productivity across most vehicles, the initiative successfully met LabConnect’s No. 1 goal: to increase the number of proposal opportunities generated by the website. LabConnect’s goal was to have 60 opportunities; SCORR helped the company gain 68. Toward the end of 2016, SCORR and LabConnect determined there was an increased need for a brand structure that would allow the flexibility to feature each of the company’s various service offerings in ways that make them stand out. In response, SCORR and LabConnect undertook a brand update to extend the brand messaging and creative, and evolve the value proposition. The goal was to bring more focus to the supportive services that LabConnect provides throughout the drug development continuum from preclinical through Phase IV. The revised campaign, launched fully in 2017 under the theme, “Labs Without Borders, Service Without Limits,” positions the company as a key player, able to take on complex projects from leading pharmaceutical sponsors at all stages of the development process. Because profitability and growth are LabConnect’s objectives — as they are for most companies — the company recognizes that ongoing strategic marketing planning accompanied by regular analysis is one of the best long-term investments it can make. 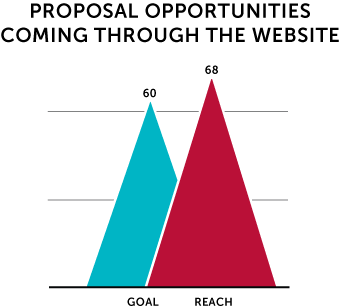 SCORR maintains a monthly dashboard of performance metrics and analytics for all of LabConnect’s measurable tactics. This dashboard provides clear and comprehensive assessments so that actions can be adjusted to achieve goals or changes made when objectives shift. Over a six-year partnership, LabConnect and SCORR have worked together to develop programs with measurable goals to achieve exceptional year-over-year business growth. Over the last two years, LabConnect has doubled its sales bookings. In 2016, LabConnect increased its closed sales by 70 percent. Share: Improving ROI And Exceeding Sales Goals With Regular Strategic Marketing Planning.